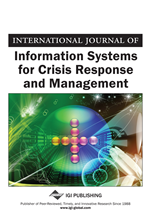 This case study discusses the role of education, curriculum development, research, and service in supporting information systems for crisis response management. The study describes the Council for Emergency Management and Homeland Security (CEMHS) organization that designs and develops academic programs and courses in these specialized areas. CEMHS combines all levels of education in California (from K-12 and postsecondary education) into a “state-wide solution” and network of academicians and professionals in emergency and disaster management, crisis response, and homeland security education and training. The organizational purpose is constructing a “vertical track” of academic programs and specialized programs to benefit and enhance information resource and crisis management. The implications and lessons learned from building collaborative partnerships between the crisis and disaster response academic and professional communities in academic program development and research initiatives are also discussed. There has been an increasing expectation for active and vigorous government and Non-Government Organization (NGO) in responding to natural and man-made disasters. This expectation has translated into greater responsibility, higher visibility, and more media attention in the preparation, response, and management of meteorological, environmental, political violence, and other exigencies. In light of several significant and recent international disasters, including the Thailand tsunami, Haiti and Chile Earthquakes, floods in China and Pakistan, forest fires in Russia, and Hurricane Katrina, have dramatically raised global consciousness and salience for a need to enhance crisis and disaster response and management. Due to the critical need to enhance preparedness, prevention, recovery, and mitigation in dealing with catastrophic or emergency incidents, crisp and efficient action is required to accomplish the “all-hazards” crisis response mission. The tremendous loss of life and human misery coupled with huge costs for disaster relief and crisis response has evolved into a critical necessity to develop policies, social institutions, technology, and a culture of preparedness to protect lives, society, critical infrastructure, various sectors of the economy, and property. It is with little surprise that there are many changes to the topographical maps and two-way radio of yesteryear’s disaster and crisis planners, managers, and responders. Today, Geographic Information Systems (GIS), web-based applications, Google Earth, readily available satellite data, communications technologies, voice and data fusion on mobile devices and handsets are all common tools of the trade for emergency and crisis managers and responders. In an increasing technological world and social milieu, the role and value of information has grown exponentially. This is particularly true when designing and managing “real time” information resources, remote sensing assets, and additional knowledge systems in response to the data intensive demands of crisis response in the modern digital age. Developing and deploying information systems are critical tools in the response, preparedness, decision-making, and communication of emergencies. Crisis response personnel must have access to actionable information in order to make informed, effective, and speedy decisions as dynamic incident events unfold on the ground. Technology and information management are crucial components of crisis and disaster response. Public safety and emergency response personnel must be intimately familiar with current technological tools to assist in effective crisis response, improved preparedness, and enhanced humanitarian disaster management capability. This is due in part because of the critical “need for speed” in efficient crisis response: establishing situational command and control, restoring basic public health care services and business continuity, restoring transportation, critical infrastructure and additional logistical matters, utilizing geovisual analytics, managing information resources, and communicating information reliably (for those in need and for those responding) and any additional steps necessary towards crisis mitigation and recovery. Several “core principles” in Emergency Management include “comprehensive, progressive, risk-driven, integrated, collaborative, coordinated, flexible, and professional” (IAEM, 2007). These are substantial demands that are placed on our crisis responders and managers and we must work to build additional tools to increase our performance and utilization of information in crisis management. Given the totality of life and death decisions and hazard to property and security, a substantial need exists for quality and accessible education and training programs at the nexus of academic and professional interests in areas related to information systems, crisis response, and international disaster management. The need for academic programs and courses to support and prepare the current (and next) generation of information systems and crisis response management professionals has grown significantly as technology advances near daily. Thus, developing and enhancing education programs in this subject area is an important objective for several reasons. Education programs provide an avenue for faculty research, opportunity for students, enhances pedagogy and teaching practices, and further develops our knowledge base. Education and research programs can contribute to greater levels of community and university service for faculty, staff, and students as well as improves community engagement (as well as communities assisted through better trained, educated, and prepared crisis response teams).